What is the situation in the euro area on the eve of 2016? How do you see the coming years? The economic outlook has improved, in an environment where interest rates are low and oil prices have fallen sharply. The positive effects of the structural reforms in a number of countries, such as Spain and Ireland, should also be underscored. These factors have had positive effects on the labour market and on the economic recovery. Fiscal policies will be more neutral too, even slightly expansionary. In fact, they will contribute 0.1% to GDP growth in the euro area in 2016 and 2017. Enormous fiscal efforts have been made, although debt levels are still too high. However, we must bear in mind that real GDP in the euro area in the first quarter of 2016 will barely return to its level of early 2008. This means that over the last eight years the GDP of the euro area has not grown in real terms, on average, even though countries like Germany saw reasonable growth. Other countries have experienced a severe fall in their living standards for a very long period of time. This poses a number of problems. The damage caused by a period of non-growth, with two recessions, is considerable. There is, of course, structural unemployment, but business investment also declined considerably during this period and has still not regained its 2008 level. Countries have also cut back sharply on infrastructure investment. And has the financial sector stabilised now? The financial sector is on a firmer footing. It has largely been recapitalised. Banking supervision is now carried out at European Central Bank level, and that is a very positive development. But pockets of fragility still exist, for example the level of non-performing loans in some countries. Provisions have been made for these debts, but they are an element of fragility nonetheless. The low profitability of some banks and the level of public sector debt, which is still significant, should also be underscored. Before the crisis, public debt in the euro area represented 60% of GDP, but today it stands at nearly 100%. To conclude, the economic situation in the euro area is improving but remains difficult. The main challenge for the euro area will be to demonstrate its ability to bring prosperity and security. An enormous amount of work remains to be done. To this must be added the political risks of what I call “seeping pessimism”. There is still considerable support for the euro but at the political level greater European integration is still rejected to some extent. That is one of the risks for the coming years. The crisis has highlighted not the weaknesses of monetary union, but the weaknesses of an incomplete monetary union. The ECB often sends out the message that it can create the conditions for stronger growth but that governments must, in turn, undertake structural reforms to make their economies more competitive. Do the politicians expect too much from the ECB? No, because everyone responsible must take action. This is not a great coordinated plan. We need a mix. A mix that includes, on the one hand, a policy of structural reforms to stimulate supply in the economy, and support for demand led by the ECB, and, on the other, fiscal policies to achieve both debt sustainability and long-term growth. Cuts affecting public infrastructure should be avoided, for example; they are not good for long-term growth. The principal challenge for governments is to regain the road to productivity, a source of prosperity. If you look back to 2000 and the outlook for growth for the following five years, an average growth rate of 2.4% was expected. In 2015 the growth prospects for the next five years are no higher than 1.3% annually. This problem also affects Japan, the United States and the emerging countries. Productivity gains are limited to certain technology sectors. They need to be rolled out to the rest of society, the health sector for example, or to tax collection. Overall, productivity gains have slowed with respect to previous decades. The priority in structural reform must be the rapid dissemination of these technological advances throughout society. And yes, because people expect too much from the ECB, if other actors rein in their efforts whenever we take action. We are seeing less of an effort on the public finance side. The ECB made it possible to avoid an outright depression in 2012 and 2013, and even the break-up of the euro. It will pursue an accommodative monetary policy for as long as is necessary. Without giving a date, this timescale is fairly long. It's a long lasting endeavour. Additional risks have arisen from the slowdown in the emerging countries, risks that are pretty significant for the euro area. There are also downward pressures on prices in the manufacturing sector as a result of surplus output and the very high unemployment level. But monetary policy alone will not solve all the problems. Is the situation in Greece under control now? Discussions are ongoing and are still intensive at the political and technical levels, but the will to succeed is there and the atmosphere of the discussions has improved considerably. It is distinctly more positive than it was at the beginning of the year. A great deal of progress has already been made through these negotiations. Significant reforms have been voted in. The banks will be able to be recapitalised. Nevertheless, the situation remains very fragile in this country. After the debt crisis, isn’t the migration crisis the next threat to European cohesion? Or does it represent more of an opportunity? Europe must show that it is a prosperous and secure area. In the short term migration will have an economic impact in the form of a fiscal expansion with some positive impact on growth. Germany’s fiscal situation is likely to deteriorate by around 0.3% to 0.4% of GDP in 2016 and 2017. This deterioration will be weaker in other countries. In the long term we will also have to look at the impact of the refugee crisis. This population is different, and care will have to be taken in integrating the migrants into the labour market, especially in Germany. In the medium term, from a demographic point of view, it can be a positive factor. The key issue is that of integrating migrants into the labour market in line with their profiles. All of these economic aspects are known and straightforward. From an economic perspective, this situation is not insurmountable; it is above all a political issue. The more integration we achieve at the economic level, the more it will be accepted politically. But all of this cannot be done in a day. 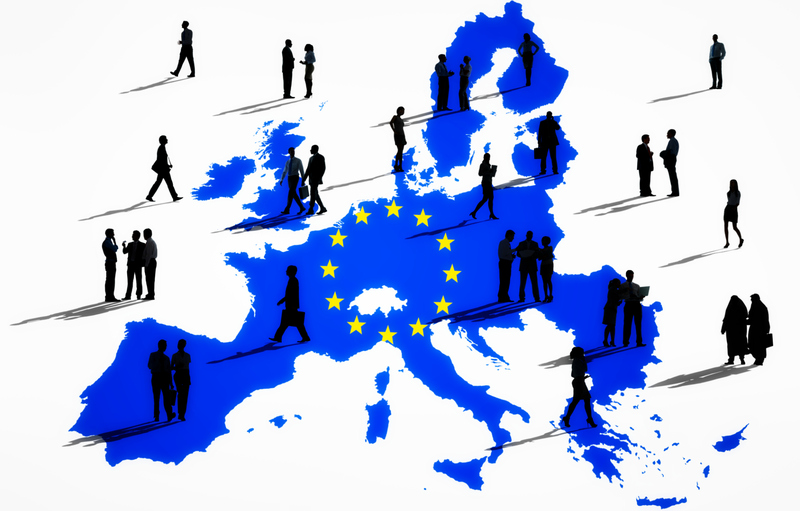 Europe needs a young and well-trained workforce. We can create an opportunity out of a tragic situation, but it is not going to be easy. It is possible for a country to organise migration, and we have already done so in the past. The issue of security to combat the threat of terrorism will become a major challenge for governments in the months to come. France has already said that it will take a few liberties with the European deficit limits. Shouldn’t the fiscal straightjacket on Member States be loosened? This has been a little bit overstated, because the security figures are quite low in the budgets, and it is not prohibitively expensive to strengthen security. Of course, it is relevant from a fiscal point of view, but the amounts are not very high. By contrast, if we include the cost of national defence under security, then the figures are potentially higher. However, it should be emphasised that this is not the source of France’s fiscal woes: it also has a well-known structural problem. How can we counter the surge in nationalist and populist currents in Europe from an economic perspective? By delivering the prosperity and economic security that was promised when we created the euro area. Today, we have the same level of economic output as we had eight years ago. The crisis caused significant economic and social pain, notably in the countries that experienced a drop in their living standards. Inequality has risen as a result of unemployment. This is unacceptable socially and has political consequences. There is no obvious willingness to integrate the euro area further. We are at a turning point. Integration at the financial level is progressing, but the European project as a whole needs to be further deepened. We must resist the temptation to go into reverse; we shouldn’t agree to stand still: we must forge ahead towards more integration. As a central banker, I am more of an observer than an actor in this area. Monetary policy is only one part of this. But even the harshest critics acknowledge that the ECB is an institution that functions well and has the capacity to take decisions and to avoid catastrophes. The same effectiveness would be required at the political level, even if, admittedly, it is more difficult. And, as I said earlier, the crisis did not reveal the weaknesses of monetary union, but rather the weaknesses of an incomplete monetary union.